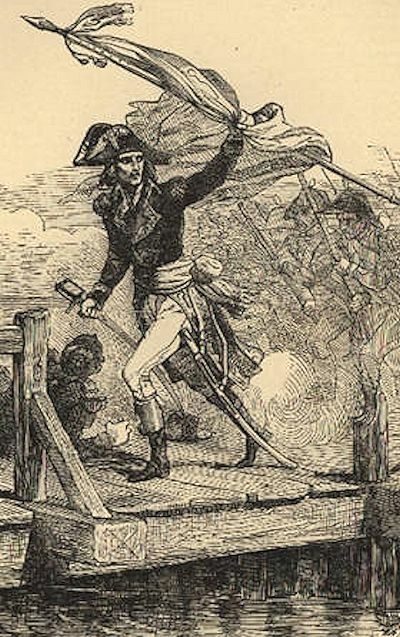 The Napoleonic Guide is the best independent reference source for everything you need to know about the life and times of Napoleon Bonaparte. It has more than 4000 pages of information covering all aspects of the greatest era in world history. Better not to have been born than to live without glory. We always have been, we are, and I hope that we always shall be detested in France. Hundreds of questions to test the knowledge of Napoleonic history buffs. Our editor Richard Moore has finished his novel set in the Peninsular War! It follows the exploits of a young officer in the 29th Foot. We are looking for someone to produce a front cover for the novel, which is a real pager turner. Contact Richard by clicking here. SHORNCLIFFE LECTURES: Series of lectures that restart a military tradition begun by the 95th Rifles. WATERLOO BATTLEFIELD GUIDE: Review of David Buttery's must-have guide to the most famous field of battle in history. NEW SITE: Our favourite marine artist - Paul Deacon - has just launched his own website. Click to check out his great paintings. And check out his Facebook page. INCOMPARABLE: Review of Terry Crowdy's excellent book on the French 9th Light Infantry Regiment. IMPRESSIVE: Marshal Ney's embarkation training at Etaples in 1805. There is no better way to learn about Napoleon Bonaparte's life and career than by reading The Napoleonic Guide's biography. Check out this month's key events through our timelines and chronologies. The orders of battle for the British, French and Prussian armies at Waterloo. More images from the days of fighting sail from artists Paul Deacon and Geoff Hunt. We take another look at the Nore Mutiny and include a big biography on Richard Parker the guy who led it. Napoleon Bonaparte's Civil Code is the foundation of Europe's modern legal system. Terry Crowdy's in-depth look at the history and men of Napoleon Bonaparte's 9th Light Infantry regiment is a magnificent achievement. His storytelling skills bring to life a fascinating tale of men under arms.